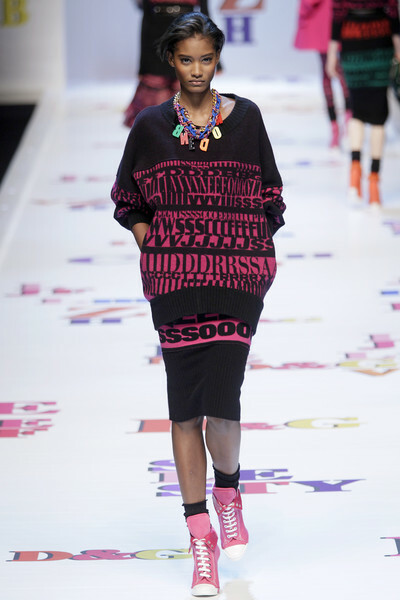 The D&G invitation gave the whole theme of the show away. 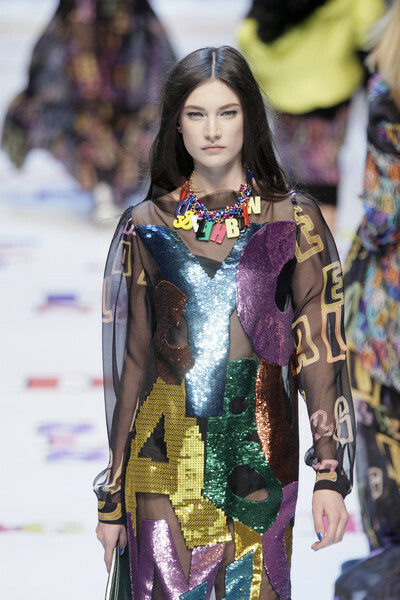 It was covered in colorful letters and so was the collection. 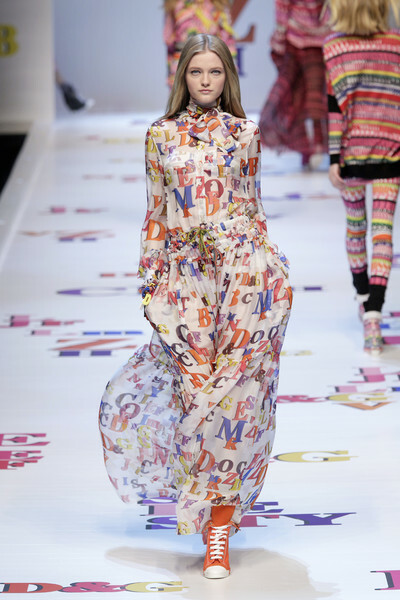 On the first few dresses the letters looked like graphic prints from a distance. Yet once the models got closer it was clear that it were rows of R’s, L’s, O’s en Z’s. Hues of black, white and grey were spiced up by some colorful accessories (necklaces and bracelets with large letter hangers and bright bags). Then in came the neon colors; orange, yellow and pink. 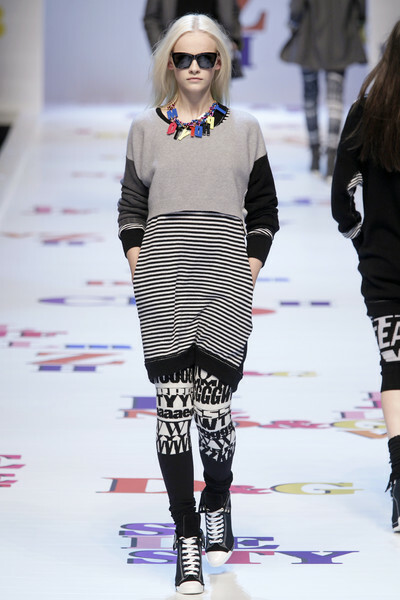 Stripes were mixed with the letters and underneath several cotton designs pieces of sheer fabric were visible. 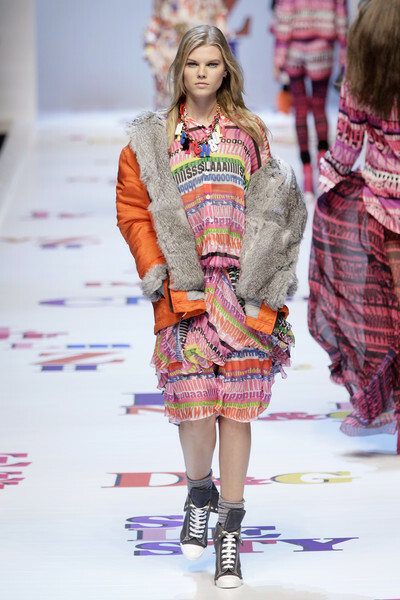 Together with some bright oversized blazers it all led to a young and funky D&G collection. The finale was special too this time. 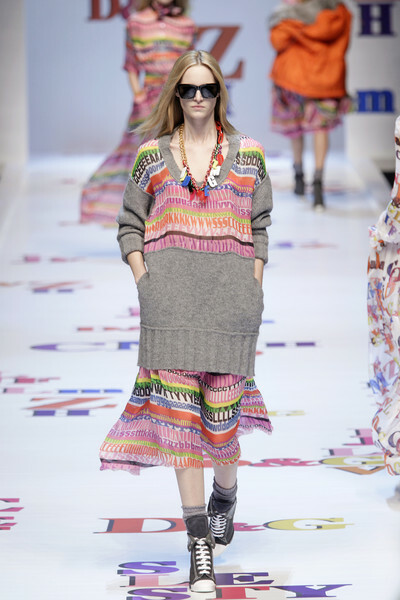 Models appeared on the runway looking like ostriches. They wore puffy, frilly skirts combined with summery printed Tees. 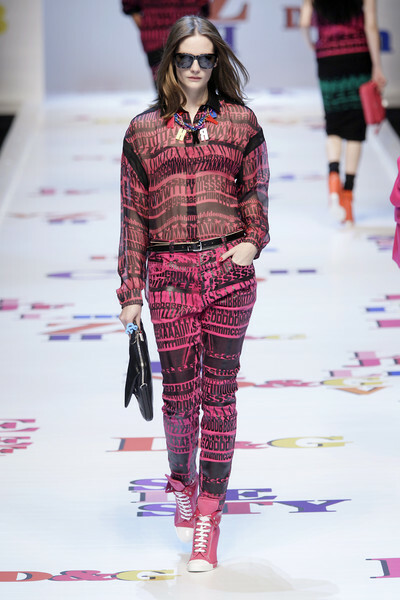 How we love those D&G finales!